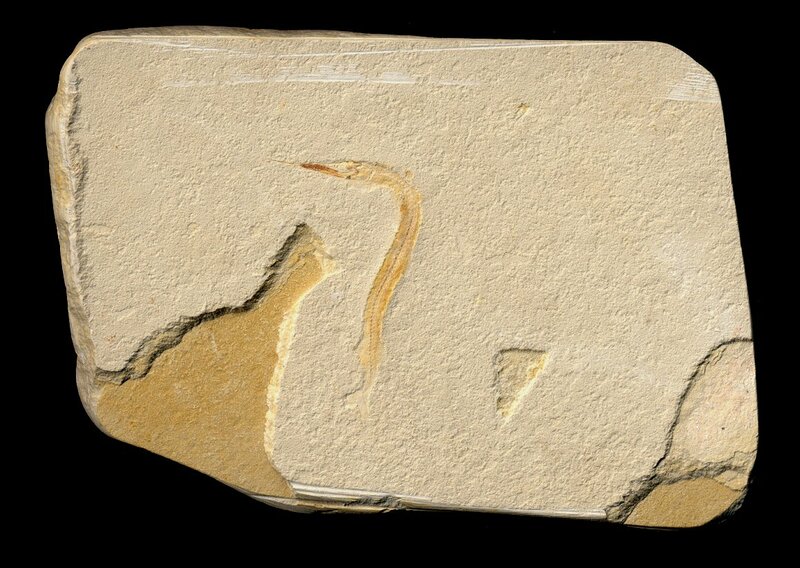 This is an unusual fossil fish from the Cretacous of Morocco. This unidentified (undescribed?) Needlefish is complete and wonderfully articulated. The detail of this distinct fish is quite nice! The bone structure is clearly defined, and the head is wonderfully displayed. The natural color of the fish contrasts beautifully with the light-colored matrix. The fossil is well showcased on the large plate of limestone. And there is no restoration on this fabulous fish - WOW! This is a very cool specimen of this extremely unusual fish from Africa.